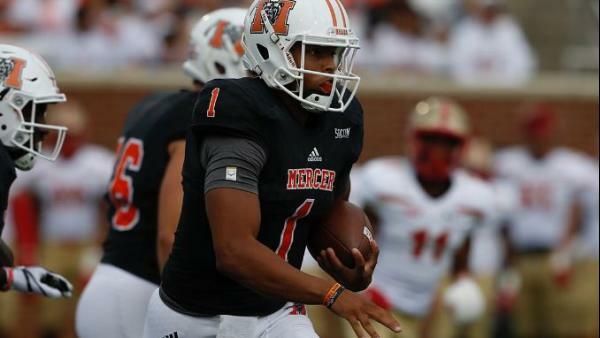 Looking ahead to week ten in the Southern Conference. Furman has won six games in a row for the first time since their NCAA FCS Semi-finalist team in 2005. The Paladins returned to the Top 25 for the first time since the week of September 20th, 2014. Furman can secure a share of their record 14th SoCon Title with wins over The Citadel and Samford in their last two games. Samford’s Kelvin McKnight is leading the nation with 11 touchdown receptions. McKnight has caught at least one touchdown in seven of Samford’s eight games this season. Samford quarterback Devlin Hodges leads the FCS with 28.3 completions per game and Furman quarterback PJ Blazejowski is tops in the nation with 10.9 yards per completion. The NCAA FCS Playoff Selection Committee released their top 10 Thursday night in advance of Selection Sunday on November 19th. Wofford was the SoCon’s lone representative in the Top 10 coming in at #7. The top eight teams ranked by the committee will receive first round byes in the twenty-four team tournament that begins on Thanksgiving weekend.